The Capitol Hill Block Party revs up on Friday afternoon and runs through Sunday evening in the Pike/Pine core. You can hate the insanity or love — but you should definitely respect the one-of-a-kind, three-day music fest. Not a fan? CHBP is definitely not the only thing happening this weekend on Capitol Hill. 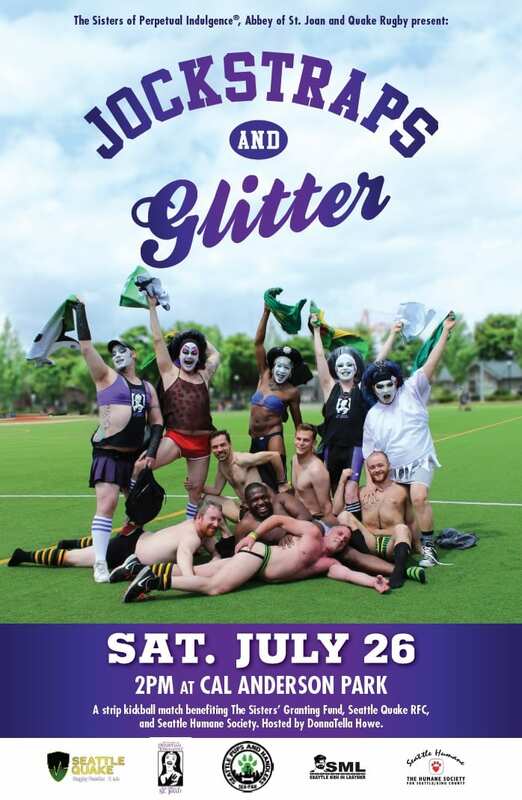 Just a block over from Block Party, queer athletes and their biggest fans will take over Bobby Morris field at Cal Anderson Park for two days of action. Sunday brings a bumped-up on the calendar edition of the annual Bat ‘n’ Rouge softball game pitting Dykes vs. Drag Queens in a battle royale on the diamond. The fun starts at 1 PM. Bring cash to bribe the umpire! Thursday, you can check out the videOasis quarterly showcase which brings “the best new PNW music videos out of the Internet ether and throws them big on the silver screen, with musicians and directors in attendance to spill the goods on the process of collaboration.” Prefunc in the bar at Northwest Film Forum with free tequila tasting starting at 7pm. Art Deco Japan film Lady and the Beard screens Friday night at Volunteer Park Amphitheater at 8:30. This 1931 silent film will be accompanied by a live musical score performance. See our write up here on five weeks of outdoor film screenings this summer on the Hill. Participants in Velocity Dance Center’s Strictly Seattle – an intensive 3-week immersion into the Seattle dance scene – bring their culminating performances to Broadway Performance Hall. See super-charged new works by zoe | juniper, Pat Graney, Bennyroyce Royon, Jody Kuehner, Shannon Stewart, Rosa Vissers + Bryon Carr created during the three-week Strictly Seattle Summer Dance Intensive + New shorts from KT Niehoff’s Dance Film Track Friday (evening) or Saturday (matinee and evening). Vermillion has organized three days of Off Block Party events, which include live music, dj dance party, and a BBQ.They’re located outside of the CHBP fence and all events are free. In the CD, Outdoor Trek continues at Blanche Lavizzo Park and on 15th Ave E Friday, you’ll find a Nuflours gluten free bakery pop-up.